F1: Are Honda aiming high enough this season? Honda motorsport boss Masashi Yamamoto wants to start off the new Formula 1 season with the intention of being the third best engine on the grid. Third. Ahead of Renault, but not at par with either Ferrari or Mercedes. In other words, they aim to be the second-worst engine supplier. Is that enough? The sport needs them to succeed. Yamamoto was quoted by Autosport. Let's suppose they do manage to build a faster engine than their French rivals Renault, but is it really enough? Maybe so, as their de facto works side Red Bull only want an engine that produces higher horsepower than last year. Even with a power deficit to Ferrari and Mercedes, they were the best car towards the end of the season with race wins in Austria and México along with a string of podiums. It can win odd races, but not compete for the title. 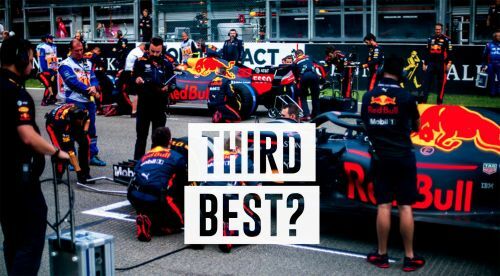 However, if they don't, Red Bull won't be pleased as that is the minimum requirement from the partnership, who are confident about the aerodynamic side of the new car. Then comes the challenge of matching the lead two, which the Japanese know is no child's play. There are a few things to be pointed out here. Honda is still not committing to a time frame to build a highly competitive engine unlike Renault, who have set a 2020 deadline. Secondly, they have had 4 years to catch up, with one of the highest budgets. They have a guinea pig side in Toro Rosso too. With the personnel at their disposal, they should have figured it out by now. In the early years of McLaren-Honda partnership, both were being held back by restrictions on testing as well. They bit off more than they could chew. The data was not sufficient with almost no mileage for their engine in racing conditions. That alibi has gone out of the window with Toro Rosso and Red Bull. They had 21 races to build for 2019. It can also be seen as the Japanese being cautious of making any tall claims, however into the fifth year, it is well worth the question - Are Honda aiming high enough this season?